There's always something exciting going on at St Paul's Church, both on Sundays and throughout the week. In addition to our weekly Sunday services, we also have a number of special services for festivals and special occasions throughout the year. 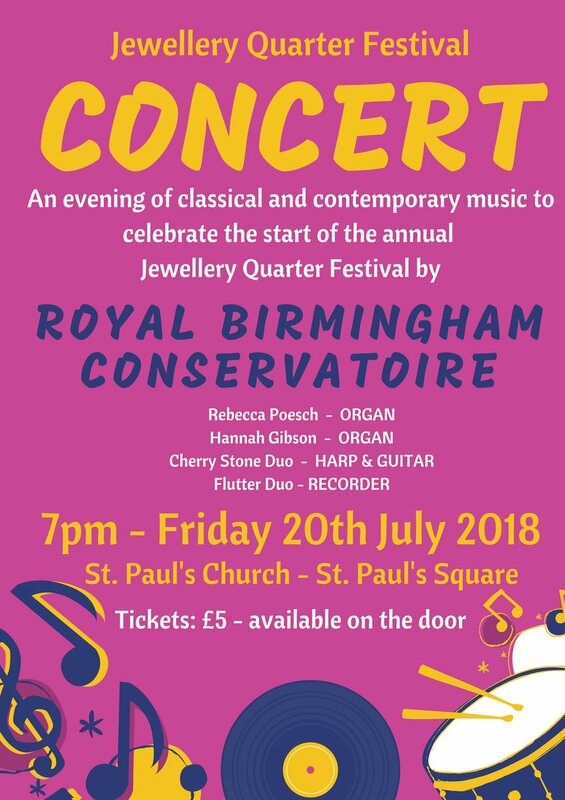 We host many Concerts and events throughout the year, including performances by the Birmingham Bach Choir, Ex-Cathedra and the BGSO. Please contact us for more details. The church is usually open for visitors on Tuesdays, Wednesdays and Thursdays, but it is recommended that you telephone the parish office to confirm the opening hours before making a special journey.